Dear Robyn, I really appreciate your taking the time to look and relook! I look forward to seeing your own work continue to flourish and, I hope, to spending more time with you (and Karen) in the coming year! 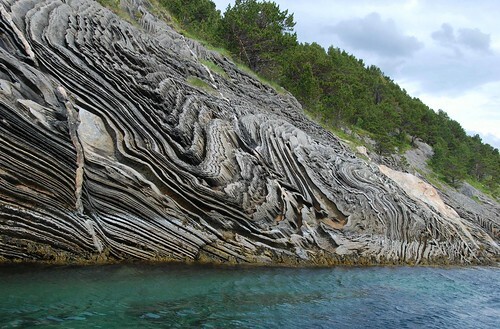 Dear Laura--I had looked at this earlier but spent some time with it this morning--what a magnificent rendering of that incredible formation--and now onto your Norwegian challenge--wow, those waves of rock are simply amazing. We wish you a wonderful Christmas and experience in Norway--I really look forward to seeing your work and hearing all about it. Sending you love and art. Thank you so much, Frances! I have been inspired by your work so often. It's nice to think my work is inspiring to you in some way. Dear, dear Kate, you humble me. Thank you, longtime and dear and hugely talented friend. I ache to hold those sketchbooks in my hands and see the images again and again.